With the official cherry blossom blooming dates moved up to March 18th-23rdÂ many thanks to this unseasonably warm weather (anyone playing hooky today?) 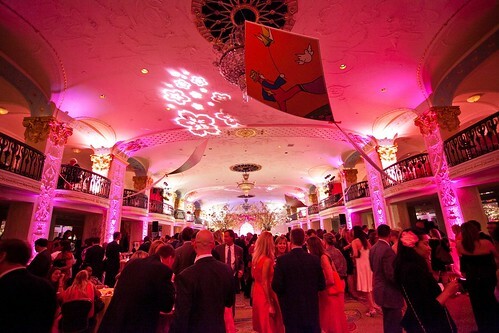 we are even more excited to participate in next Friday’s annual Pink Tie Party presented by ANA at the Reagan Building. But buyer beware… you must must must bring your appetite, for this fun foodie event brings all types of tastes both in solid and liquid form. Airways invites you to see and feel what a trans-Pacific flight is like. Sponsored by BUBBLES Salons – Take a photo of yourself stylinâ€™ and profilinâ€™ and geta printout to take home. Be on the lookout for the roving photographer who can also capture your image throughout the evening. Sponsored by LandDesign – Sit under the cherry blossom tree whilelearning about sakÃ© and shochu â€“ traditional Japanese beverages. Tickets are still available. When you purchase, please feel free to click on Pamela Sorensen as from whom you learned about the event! See you in the pink!